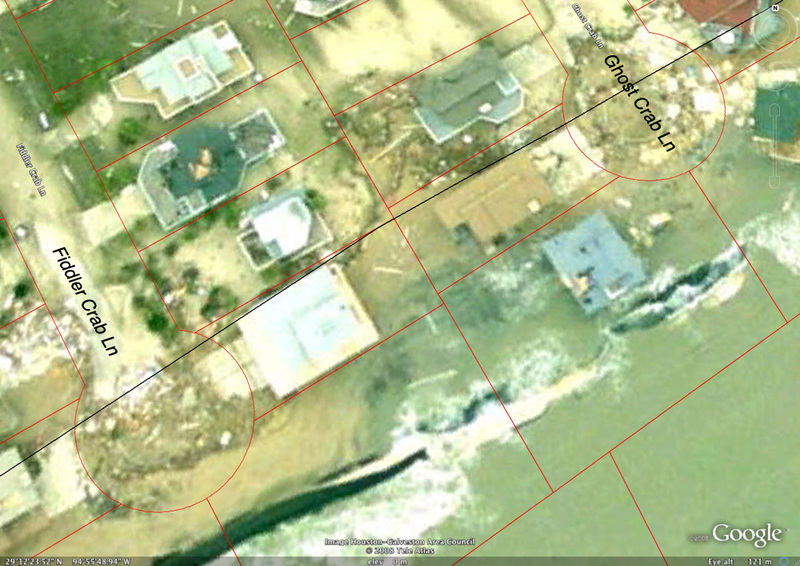 On November 11, 2008, the Texas General Land Office issued a map of Galveston and Bolivar which established an initial post-Hurricane Ike vegetation line. 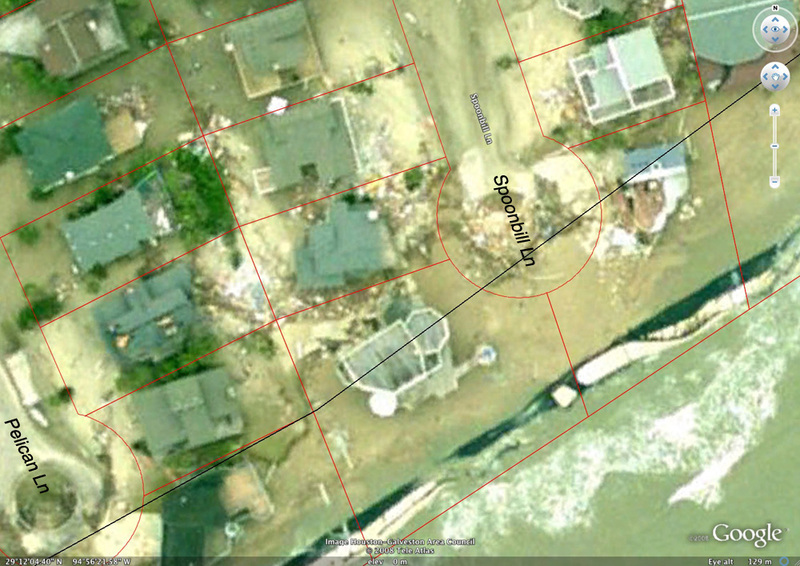 Traditionally, the land office used the vegetation line to mark the public beach boundary, but Ike destroyed so much vegetation that the land office is temporarily using a line 4.5 feet above sea level instead. 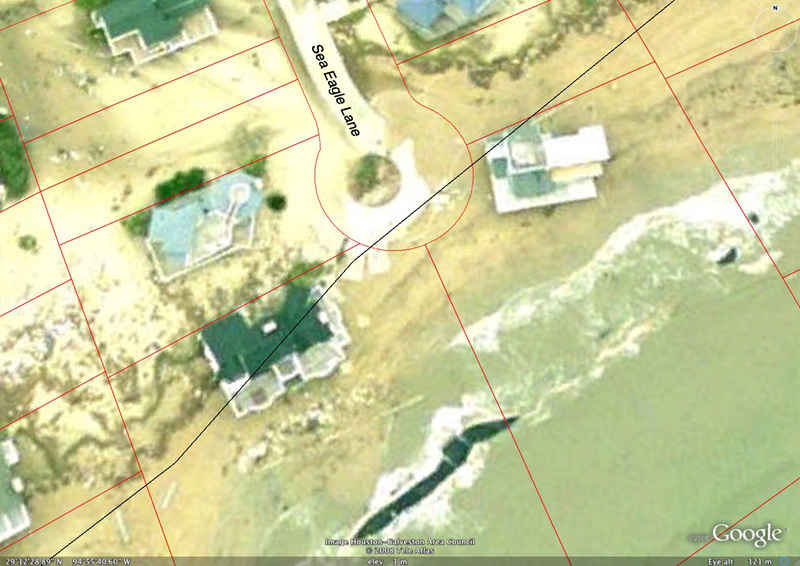 Where the boundary lies is important because under state law, any property on the Gulf side of the line belongs to the state. 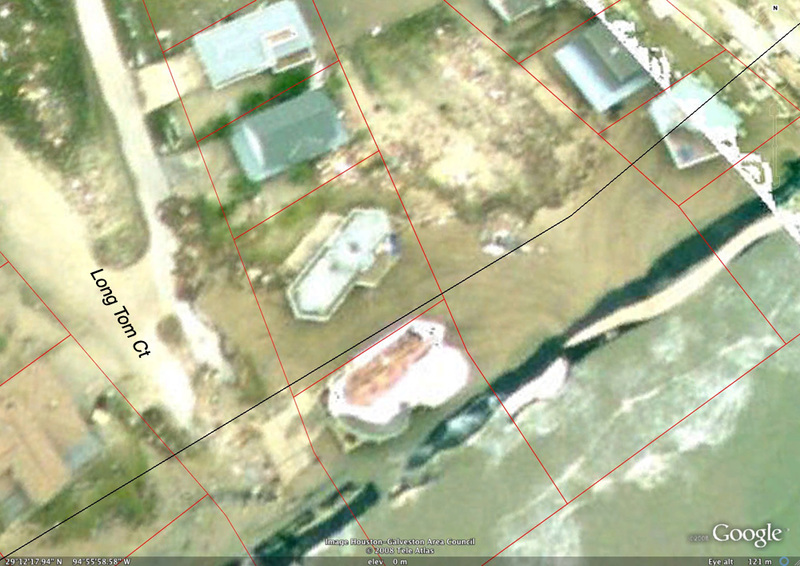 No new structures can be built there and houses that end up on the beach must be removed. 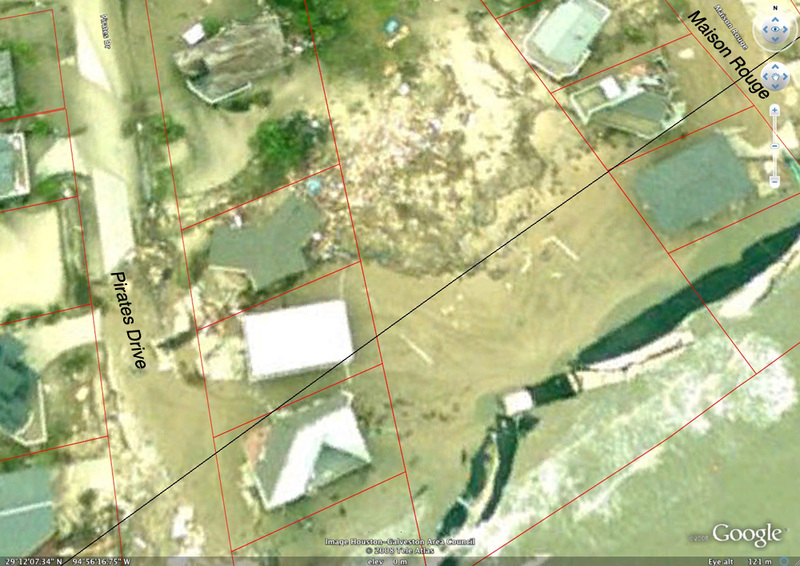 Texas Land Commissioner Jerry Patterson said those regulations won't be enforced for at least a year. 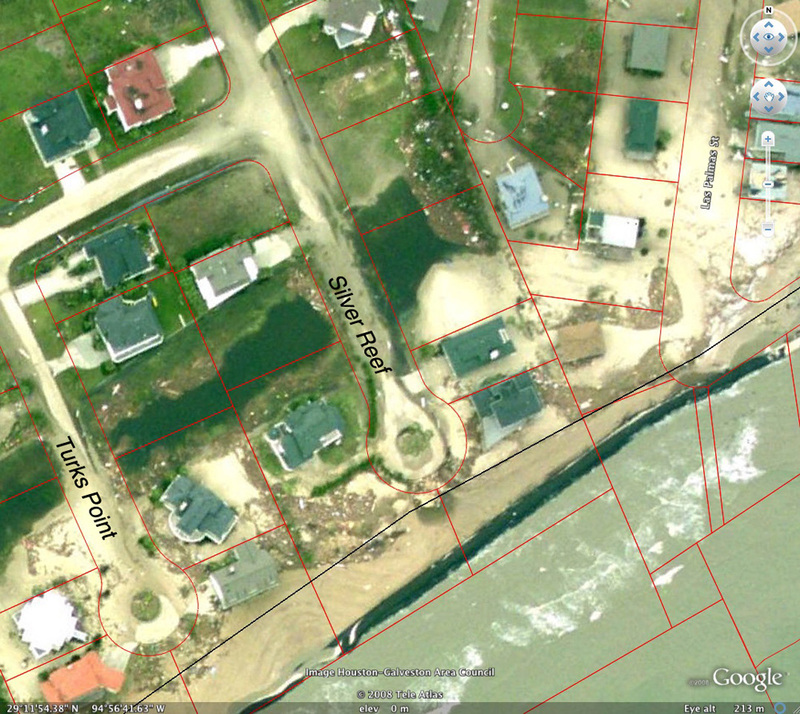 Property owners can get emergency permits to make certain repairs to houses now on the beach, he said. 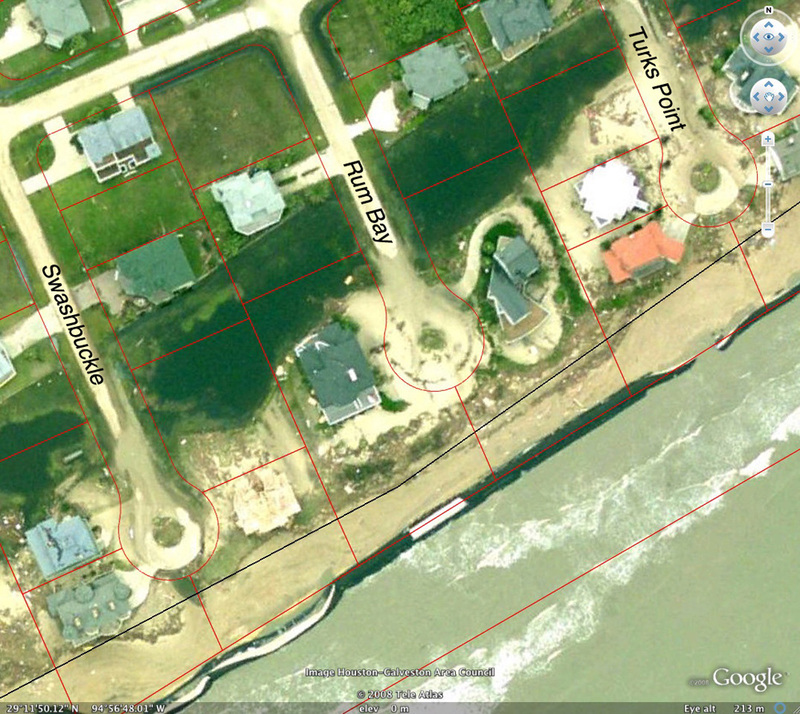 Galveston County Commissioner Patrick Doyle said adopting the 4.5-foot line allows property owners and local officials a starting point to begin rebuilding in the devastated area. 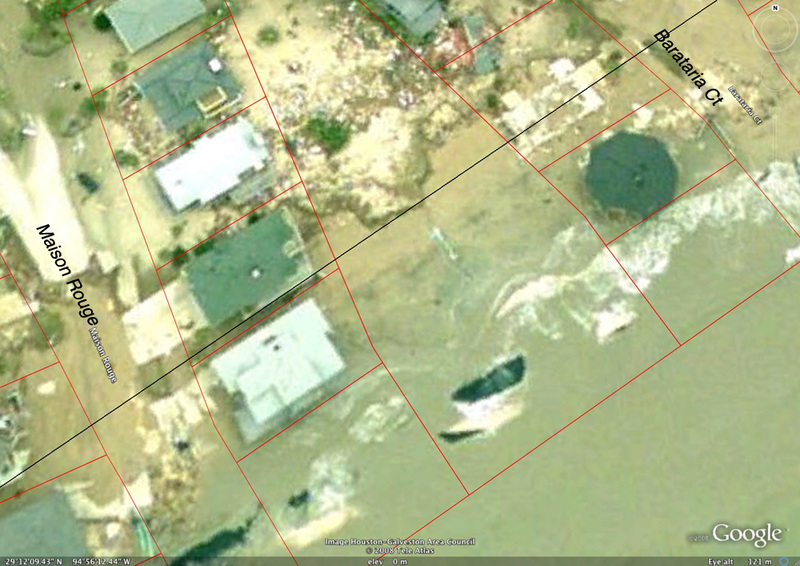 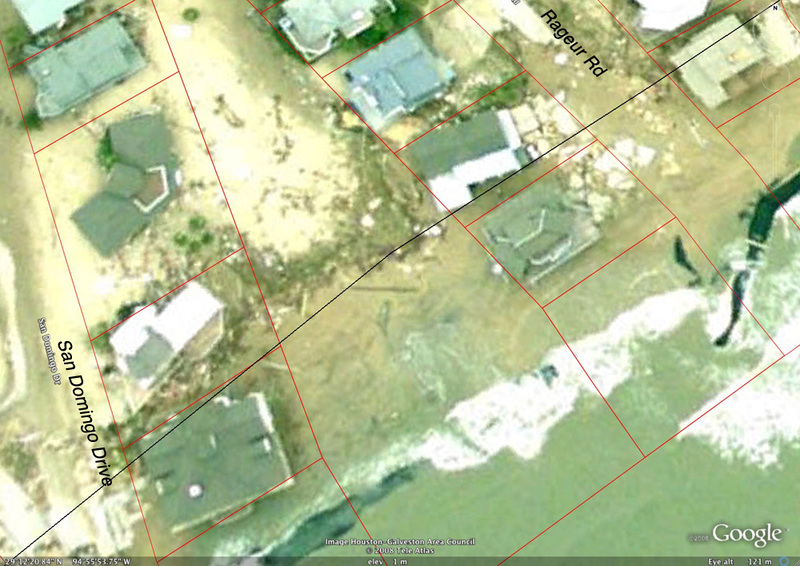 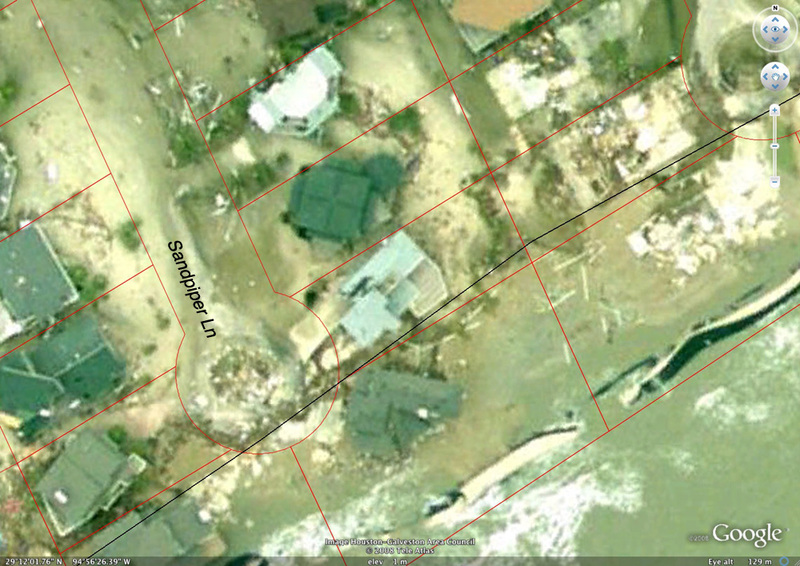 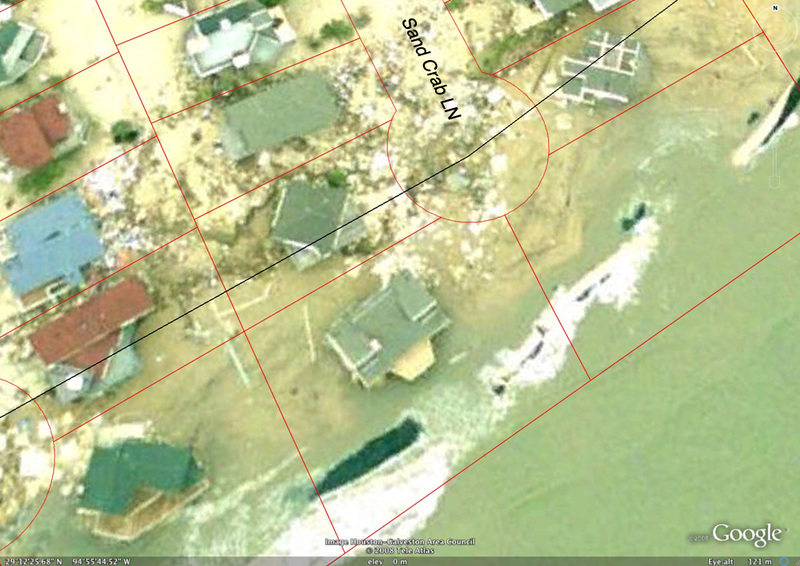 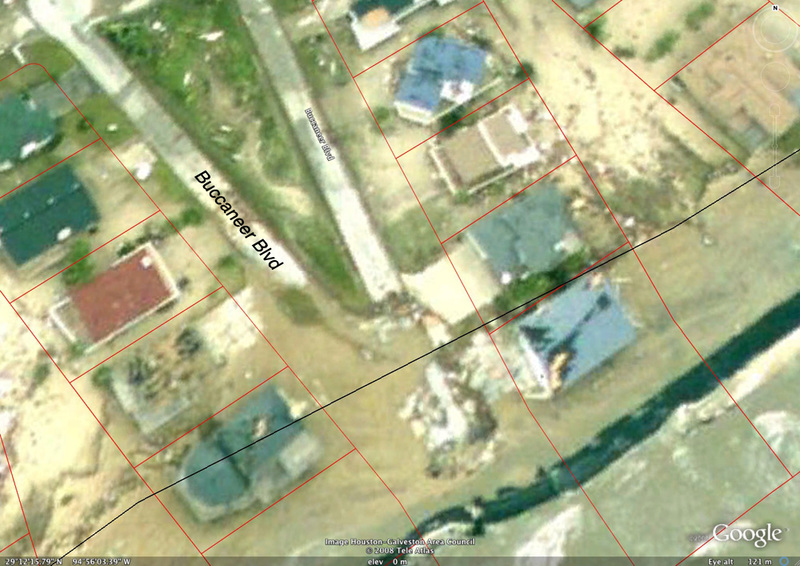 The 4.5 foot initial vegetation line is shown as the black line on the following photos of the Pirates Beach beachfront. 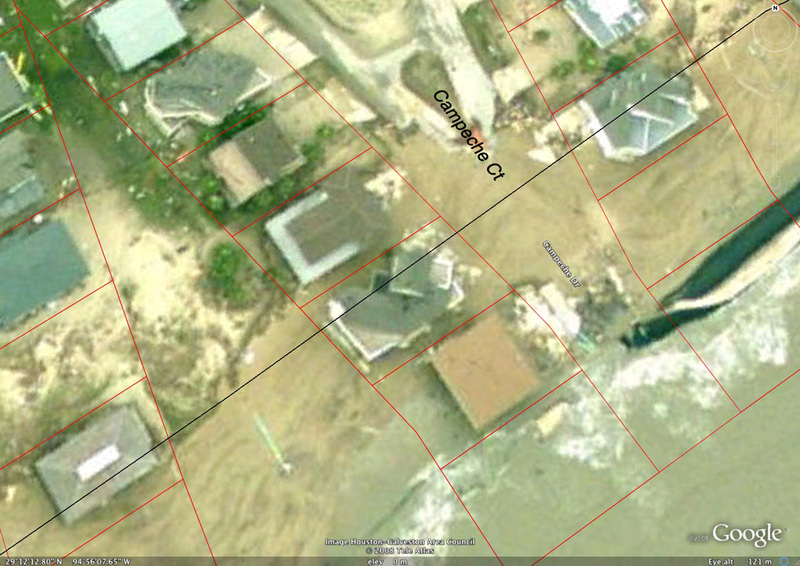 Pirates Beach: San Domingo Drive to Rageur Rd.